Long metal part, usually with a head and a tip, used to attach or assemble various materials. Pointed end whose function is to make it easier to drive the nail into the wood or other material. 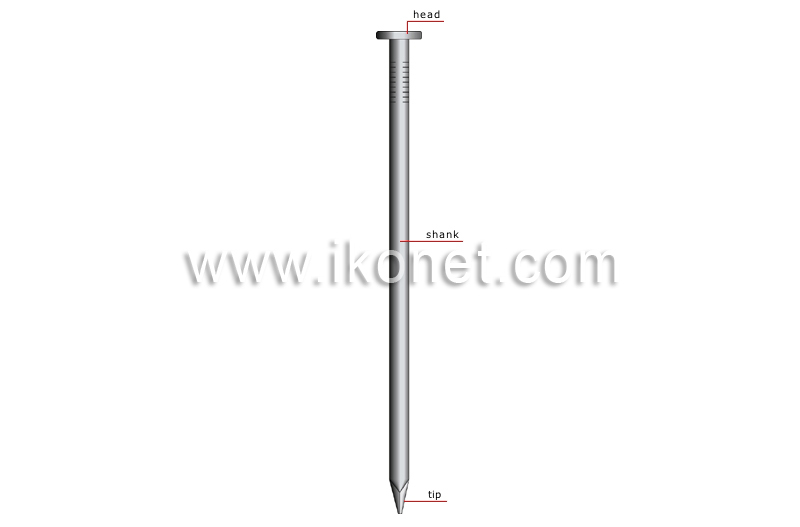 Long thin part between the head and the tip whose length, diameter and shape vary according to the type of nail. Flat surface that is struck when hammering a nail.